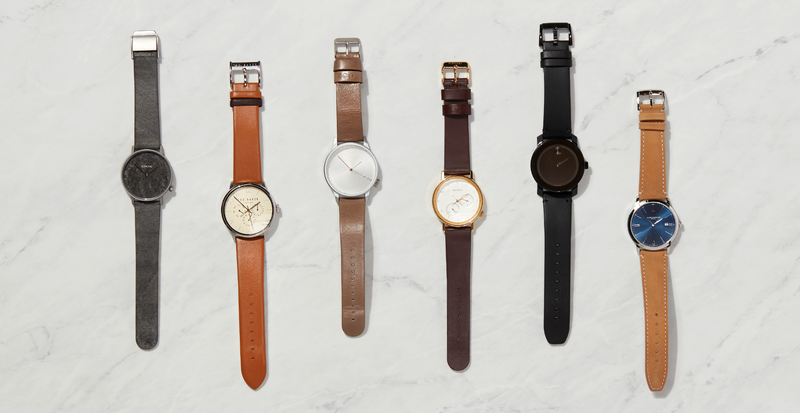 Watches offer a sophisticated finishing touch that never goes out of style. 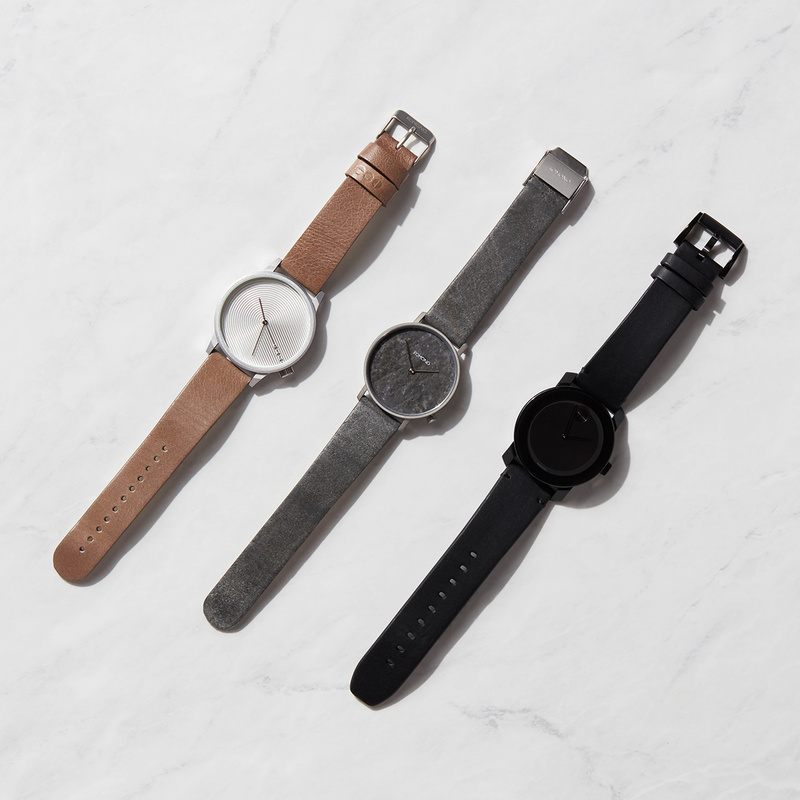 Choose the right one, and you’ll be glancing at your wrist instead of your phone (imagine that). While a good watch tells accurate time, a great watch seamlessly complements the outfits in your closet. Summer's short and cuffed sleeves pose the perfect chance to show off a timepiece that suits your personal style. Whether that leans more toward modern-minimal or classic vintage, you'll find the right time telling accent in our guide below. 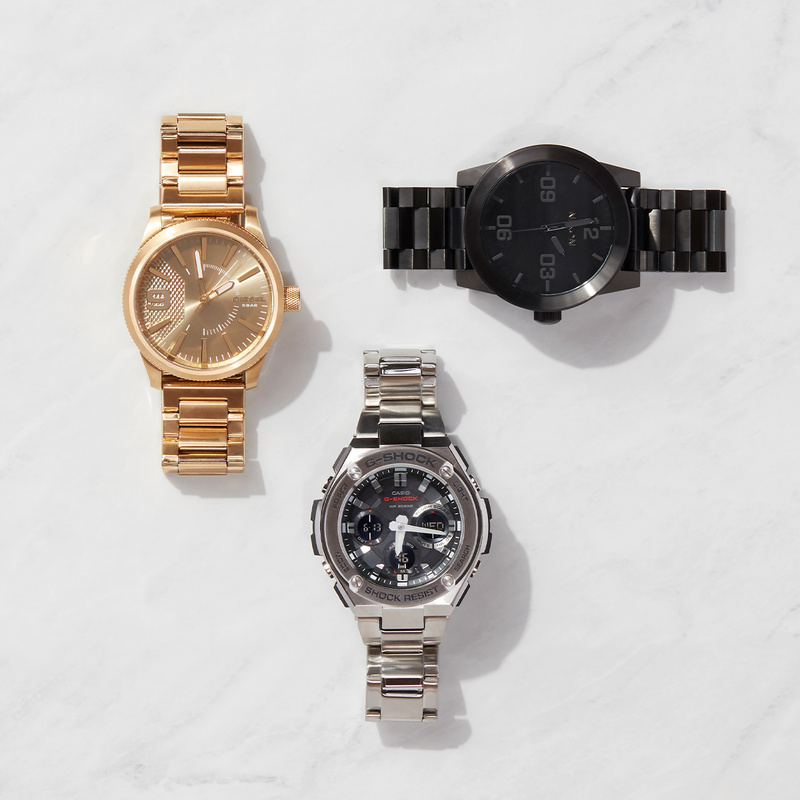 Those who tend to seek out sleek, minimalist accents will likely favor monochrome timepieces. A number-free face, needle-thin hands, and a tonal look make this category an impeccably modern lineup to choose from. Going for impact? A robust bracelet watch gives off a flashier vibe and adds an air of masculinity to your look. An ideal pick for summer, they’re immune to the damage sunscreen and sweat can do to their leather counterparts. If you favor classic, versatile appeal, leather is a sound choice. 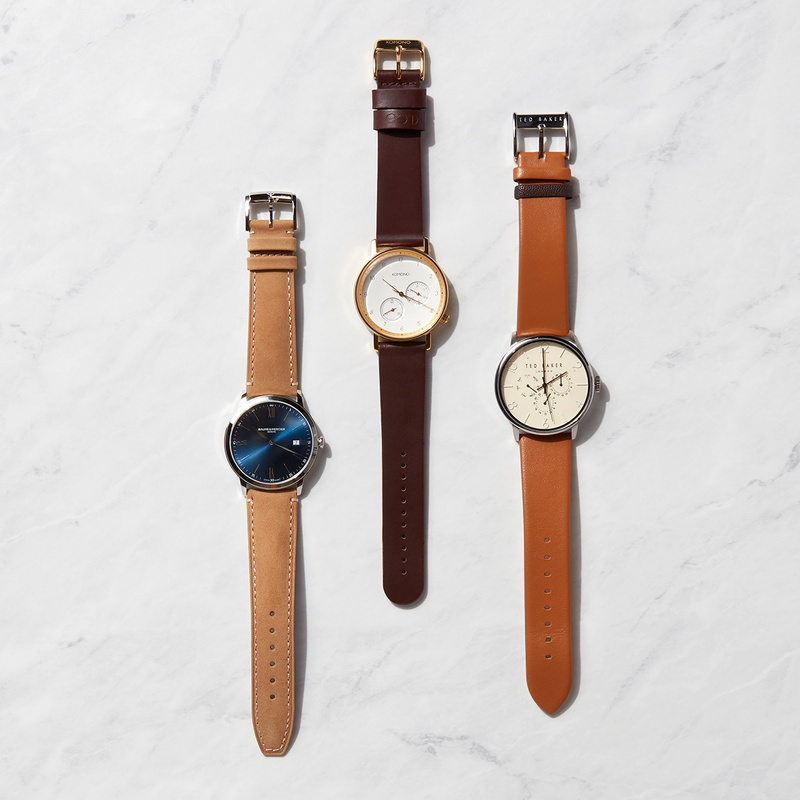 These smart timepieces look great with everything. They can read contemporary or vintage-inspired, effortlessly punctuating ensembles from dressy to casual.